A nice bright smile can make you look instantly more beautiful. But not every person’s smile reveals their pearly whites. Are you among those who do not flash their teeth while smiling? Do you skimp on smiling wholeheartedly simply because you are not confident about your teeth? Worry not, cause there are some simple ways in which you can get back your shiny bright teeth. Simply follow them religiously to get a dazzling smile. The most important thing is to clean your teeth well every single day. Brush twice every day. Spend a good two to three minutes to cover all parts of the teeth and the interdental gaps. Floss your teeth regularly to avoid build-up of plaque between the teeth. Also, clean your tongue to get rid of any harmful bacteria in the mouth. It is not possible to brush the teeth after every snack and meal. But what if possible is to rinse the mouth after consuming anything. This way, you can avoid food particles from being stuck on the teeth and also prevent them from staining your teeth. Kick the habit. It is really harmful for the health. 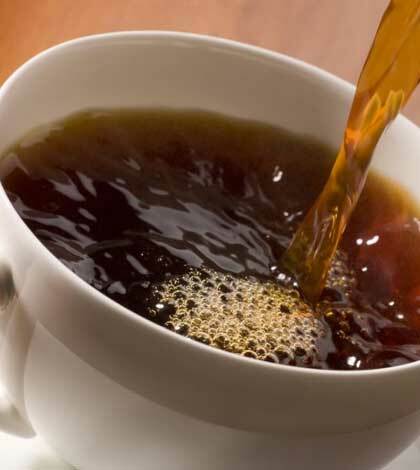 Try to cut down on the coffee and tea intake since a lot of it can lead to staining of the teeth. Also, remember to rinse your mouth well after eating deeply pigmented foods like beets. Carbonated and highly acidic drinks can be abrasive on the enamel and can stain the teeth. Avoid them as much as possible. If you do consume them, follow it up with a lot of water and some neutralising liquid like milk. 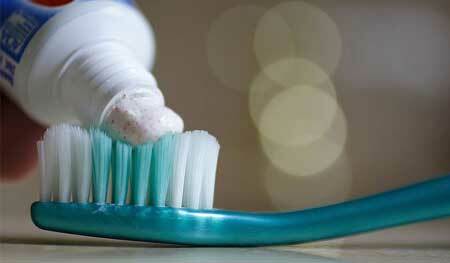 Sprinkle some baking soda on your toothpaste or directly brush your teeth with some baking soda. Do not overdo it. Do it once in a week and it will help you get rid of the stains in the teeth. There are many OTC whitening kits available. If you are just starting out with whitening kits, then make sure you pick a whitener with a low percentage of hydrogen peroxide, say, about 10%. If you are wary about trying something like a whitener, try to munch on foods like strawberries, celery and carrots. These foods that are high in fibre naturally remove stains from the teeth and whiten them as you eat them away. This is an effective but slightly difficult solution. Just take about two spoons of olive oil in your mouth and swish it around in your mouth for ten to fifteen minutes. While doing this, the olive oil will remove all the interdental particles, stains from the teeth and deposits in the gums. Rinse well and brush after doing this. This can be done every day. It is not a remedy but more of a quick fix for a bright smile. A darker shade of lipstick like maroon or plum will instantly make your teeth appear brighter and whiter! Keep away from browns and oranges.